Justin Bieber was born on March 1, 1994; London is a Canadian pop R&B singer, songwriter and actor. Bieber is a Christian. Mother Patricia Lynn Pattie Mallette, Bieber as a single mother in low income house. Bieber has maintained contact with his father, Jeremy Jack Bieber, who married another woman and had two children. During his childhood, Bieber was interested in hockey, soccer, and chess. He often kept his musical aspirations to himself. As he grew up, Bieber thought himself to play the piano, drums, guitar, and trumpet. Mallette posted a video of the performance on YouTube for their family and friends to see. She continued to upload videos of Bieber singing covers of various R&B songs, and Bieber's popularity on the site grew.Bieber was discovered in 2008 by Scooter Braun. Who happened to come across Bieber's videos on YouTube and later became his manager. Braun arranged for him to meet with Usher in Atlanta, Georgia, and Bieber was soon signed to Raymond Braun Media Group. Bieber's first single, "One Time", was released to radio while Bieber was still recording his debut album. The song reached number 12 on the Canadian Hot 100 during its first week of release in July 2009, and later peaked at number 17 on the Billboard Hot 100. During fall 2009 it had success in international markets. The song was certified Platinum in Canada and the US and Gold in Australia and New Zealand. Bieber's first release, an extended play entitled My World, was released on November 17, 2009. The album's second single, "One Less Lonely Girl", and two promo singles, "Love Me", and "Favorite Girl", were released exclusively on the iTunes store and charted within the top forty of the Billboard Hot 100. 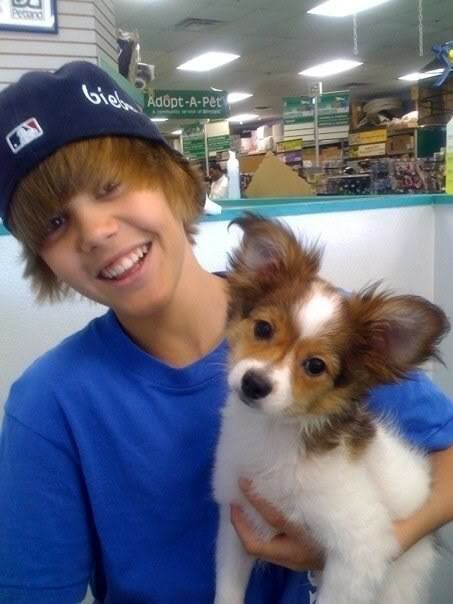 "One Less Lonely Girl" was later also released to radio and peaked within the top fifteen in Canada and the U.S., being certified Gold in the latter. My World was eventually certified Platinum in the US and Double Platinum in both Canada and the UK. His first full studio release, My World 2.0, was released on March 23, 2010 and has since received similar success. It debuted at number one and within the top ten of several countries, and was certified platinum in the United States. It was preceded by the worldwide top-ten single, "Baby," in January 2010. The music video of "Baby" is currently ranked as the most viewed and most discussed YouTube video and was the most disliked until being overtaken by Rebecca Black's song Friday. Bieber followed up the release of his debut album with his first headlining tour, the My World Tour, the remix albums My Worlds Acoustic and Never Say Never – The Remixes, and the 3D biopic concert film Justin Bieber: Never Say Never which had an opening weekend gross that nearly matched the record for the biggest opening weekend for a concert film. Justin Bieber has been nominated and awarded numerous accolades over the past few years, winning Artist of the Year at the 2010 American Music Awards, and being nominated for Best New Artist and Best Pop Vocal Album at the 53rd Grammy Awards, among others. Bieber is considered a teen idol, and has been subject to acclaim from fans, as well as criticism and controversy from matters concerning his popularity and image.